Don’t we all prefer to have our homes look their appealing best? This leads us to consider that our homes have the best paint jo. With that said, you need to be cautious of the primer you use when painting your home. If you are repainting your home, then you should consider applying a new coat. If it’s simply painting woodwork, then you need to keep in mind the appropriate primer needed. A single wrong choice in primer could lead to a disaster in the making. 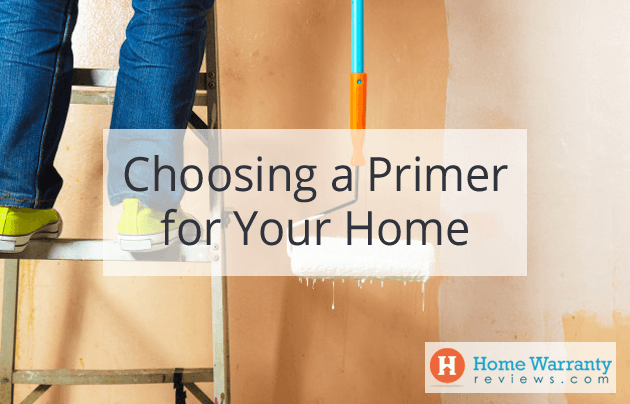 Learn about the various primers you should use for every scenario that involves a paint job in your home. A powerful tool in any professional painters arsenal, primer is what goes underneath your coat of paint. Primer has a feel more like an adhesive compared to paint. It sticks to whatever object you are prepping and converts its texture into a smooth, uniform surface that’s ready to paint. 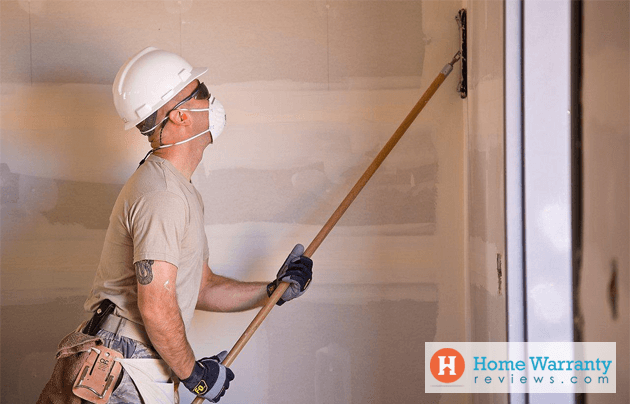 Now you know the important use of a primer, you might be intimidated by the sheer number of primers you might see walking down the primer aisle of a home center. Read on to find out which type of primer is apt for the paintjob you seek for your home. Choosing the right primer will give your paint longevity and the best results. Installing a new drywall, which mostly would be for your attic or garage area, requires extra care when it comes to priming. This is partly because mud used on the seams of drywall absorbs paint differently from the rest of the drywall. The difference in areas of drywall based on porosity will lead to blotchy, dull areas under your paint. This difference in areas can cause a problem called ‘flashing’ and can cause inconsistent sheen on your paint job. This problem can be solved if you use a drywall primer-sealer. If you are a competent drywall finisher and you can attain smooth walls on your own, you could opt to use a standard drywall sealer. But since most of us aren’t experts , our finished drywall would probably have a few tiny pockmarks, fine ridges and scuffed paper from sanding. The key to fixing those small imperfections is using a ‘high build’ drywall primer-sealer. This heavy bodied primer sealer is a bit more expensive in comparison to the standard primer sealer. But, it works better in leveling and filling in rough and uneven drywall construction. In contrast, if your drywall is quite smooth and you’re going to use flat paint as your topcoat, you could instead use two coats of high quality self priming water based flat paints. This heavy bodied paint resins in self priming paints that seal surfaces and fill imperfections in your walls. When it comes to painting interior hardwood, there’s a specific type of primer you should use in order to get the best finish. If the old coat of paint is in good shape, you don’t even require a primer before applying a new coat. But if the paint on your hardwood is chalking or chipped, use an oil based enamel undercoat primer just after prepping the surface. An oil based enamel undercoat primer bonds well to previously painted surfaces and gives a better topcoat. The primer gives a dense, smooth uniform foundation without brush marks. Primers like Shellac and many water-based products dry too quickly and become brittle. This can cause marks and make it more difficult to sand and get smooth base for a topcoat. Oil based primers sand well but dry slower than regular primers. Some can take even 48 hours or longer). If you prefer to use a water based product though, look for a high build acrylic latex enamel undercoat that’s specifically designed to be sanded. Exterior paint jobs can take quite a beating and still last. One way to the extend your exterior paint job is by using good primer. Unless you prefer to scrape paint, you should invest in top quality acrylic/latex exterior primer. Pro Tip: Look for “100 percent acrylic” on the label, make sure the wood surface is clean, dull and dry. On a properly prepped wall, high quality primer can extend the life of your exterior paint job. 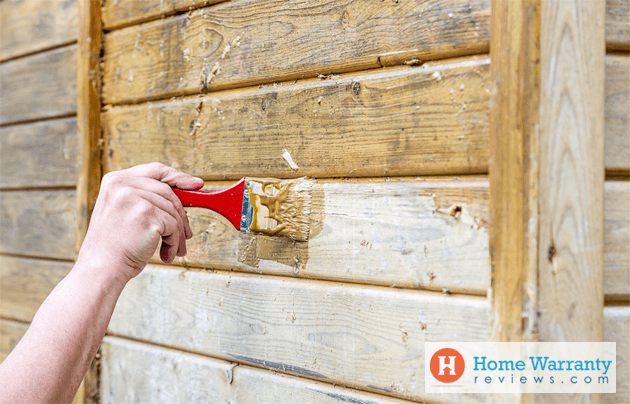 If your exterior paint is in good condition even on old exterior wood, there is no need for you to prime it. The least you’ll have to do is spot the prime on bare wood where paint has peeled off. You need to use acrylic/latex exterior primer for your old exterior hardwood. If your paint is beginning to ‘chalk’, you’ll need to prime the surface. In order to detect whether your exterior paint is chalking, all you need to do is try and wipe the paint with a rag. If the rag picks up pigments of colored dust, you’ve got chalking. New Interior Barewood have a different kind of surface with a lot of imperfections. You need to prime the bare wood to seal the surface, cover up imperfections and bind the wood fiber so as to create uniformity. Slow drying oil based primers like enamel undercoat primer, provide the best adhesion and are easier to sand compared to water based primers. If you intend to use a water based primer, you have to keep in mind that it will raise the grain of the wood. This means that you would have to sand more than usual before you apply a top coat. If you would like a change in paint color, mostly light to dark or vice versa, it may take several coats to hide your existing paint color. In order to reduce the number of top coats of the new paint shade you need to use, you can tint your primer gray or a color similar to the finish paint. Not all primers can have tints with dark colors. So always make sure to pick a primer that can. Even without needing a dark color change, tinting your primer gray enhances the color of most dark colored interior paints. This also improves how your primer covers imperfections and the color of your wall surface. Cedar, Redwood and a few uncommon wood types contain a lot of pigments called tannins. These tannins will bleed through standard primer and paint and can give out a bad complexion. To stop pigment bleeding, you will need to use an oil based stain blocking exterior paint primer for large areas of the house. You should then top it off with an acrylic/latex finish coat. Keep in mind, if you are using an oil topcoat, use specifically a oil based primer. But due new innovations, new water based paint formulations, you can paint an acrylic/latex topcoat with either oil or water based primer. Now that you know what kind of primer you would require for painting all the areas of your home, let’s think about protecting your home. Most of the appliances in your home are susceptible to wear and tear. It is for this reason you need to keep a close eye on them and maintain/repair them. We know that repairs and maintenance cost a lot of money, so here’s a handy home maintenance calculator to help you gauge your expenses. This calculator allows you to foresee how much you would be spending on maintenance/repairs on your appliances for a year! Now, you must know by now conducting individual repairs costs a lot of money, money which you could save and utilise for other aspects of life. The answer to your dilemma is none other than taking up a home warranty. A home warranty offers you the best of both, a low price which is easy on your wallet and a sense of surety in terms of maintenance repair of your appliances. The way a home warranty works is you the homeowner pays a relatively small sum of money to the home warranty service. The home warranty company will then confirm and offer protection/repair/replacement for your appliances for the next 12 months. Keep in mind though, every home warranty comes with its exceptions, clauses and deductibles. Now how do you know which home warranty best suits you? You could scour the interweb and scan through site after site or just simply compare them at HomeWarrantyReviews.com. Home warranty reviews holds a database of 80+ home warranty companies in the US alongside thousands of reviews from actual consumers. Every home warranty company listed on HomeWarrantyReviews.com has reviews from actual users ranging from negative to positive, to give you utmost clarity on the service provided. Each home warranty company is also presented with a ratings timeline. This timeline allows you to see how the home warranty company has been faring for the past five years in the eyes of the public. Surely enough, HomeWarrantyReviews.com also ranks all the companies listed and allows you to compare between home warranty companies, to help you get the best bang for your buck. Once you have made a preference on what home warranty company you wish to acquire services from, you can easily enough ask for a quotation and begin negotiations with the company. It’s that simple! With a few clicks of the button you could protect your home appliances for the next 12 months!